this is what i threw on the other day to go to an exam. the weather was lovely but slightly windy, so a thin jumper was the perfect choice. 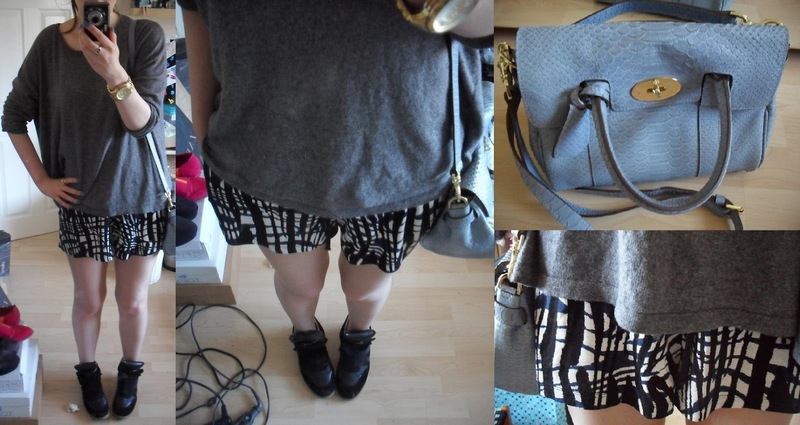 i’m all over the whole sporty look for this summer, slouchy shorts are possibly my favourite fashion item at the moment. when i got back home, i had to babysit a total of four cats. my sister has went away for the weekend so her two siamese cats are at our house.